Team Zombillies reviewed this attraction on October 15, 2016. 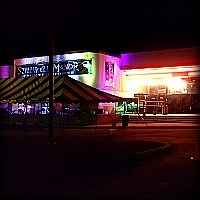 Stillwell Manor consists of three, uniquely-themed attractions at single location that was formerly used as a movie theater. Many improvements have been added this season… no, really… they made a LOT of changes! If you’ve never been to Stillwell before, this haunt uses the slanted floors of the theater to their advantage and it definitely makes for a different experience that’s hard to come by at most other attractions. 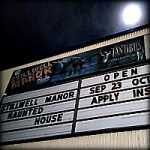 The three attractions are “Stillwell Manor,” “Isabell’s Beyond” and “Tantibus.” With a crew of DEAD-icated actors to boot, these folks put on a great show that’s designed to take you out of your own reality and plummet you into the depths of their own! The “Manor Minions,” as they’ve been dubbed (not by us), were certainly on a roll during our visit! We were told by management that around 42 of them covered the attractions during our visit, but many more have been known to manifest themselves from time to time. However, we didn’t need the owners help to tell that the cast of the Stillwell Manor attraction knew their characters well; our interactions with them were collectively the stand-out of our tour, for sure. Even the young girl who led us through the library by creepily skipping off ahead of us reiterated the spooky nature of the Manor. It was clear to us that each of the actors in there had important roles and none of them let us get through their scenes without making sure we got what we came for! The Krazy Kora (the cat lady), Izzy & Morris (the bickering couple), Derail (the rat guy), Hellawheeze (the maid) and the executioner gave some of the best performances in this haunt due to their use of dialogue and the ways they were able to work with their props and surroundings (be sure to say hi to “Garth” on your way through the cat room). Not as many actors were noticed in Isabell’s beyond, but the “JAWS” (the ring leader – Jeremiah Archiwald Winston Stillwell) was far and away the most charismatic character of the evening as he prepared us for the freaks that laid in wait for our group. His eloquent performance was echoed by the freaks that guided us through their displays, tying group-related jokes into their acts, and Isabell, who comically (yet successfully) conjured up some dead creatures during her sub-show. 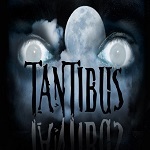 Tantibus, being the only haunt here that doesn’t stick to a central storyline, has a lot more random characters, but each of them still fall under the “nightmare” category and several of them gave us reviewers some really good scares! Shout-outs go out to the clowns (who hovered over us as we tried to escape… and made us walk between their stilted legs before we could continue), the not-so-qualified Doctor and the chainsaw assailant that had us quickly making our way out of the exit! While the vast majority of the costumes were appropriate for their characters and above-average, a few of the characters that we found were markedly more malevolent than most! Among these were Hellowheeze, the executioner and the chainsaw attacker. What really seemed to set them apart was the attention paid to the scariness and details of their various makeup, masks and outfits (you’ll see what we mean if you cross their paths). Other notable looks were found with “Derail,” the clowns, Izzy & Morris and the Krazy Kora due to their authenticity. Of course, we can’t go without mentioning the talking bush (hey, who knows how some spirits will decide to manifest themselves, right?). Most of the makeup that we saw seemed to be smoothly applied and well-blended to create more-realistic looks, although the gaping jowels and teeth of one particular creature (we’re told it was a Leviathan) demonstrated a decent usage of prosthetics. All we can say is… wow! We’ve visited Stillwell many times over the past couple of years for their Halloween haunt and multiple off-season events; we could hardly recognize the place! With fog, multi-colored lights, a large grim reaper, tombstones, creepy trees, the haunt’s hearse, banners, searchlights, eerie sounds and huge tents (and that’s just what’s outside the building), it was pretty obvious that this was, in fact, no longer your typical, everyday, abandoned movie theater. Once we opened the door and stepped inside, our jaws dropped to the floor. Now, if you’ve never been here before, you may not appreciate how much work these folks have put in since last haunt season. But, believe us, the lobby has basically received a complete makeover! Several new (but old-looking) rock walls now form the line to the new ticket windows and, when combined with the inlaid stage, cobblestone floors, accent lighting, several statues, a coffin, some shrubbery and a wrought iron gate, everything came together to create an overall-creepy atmosphere that helped set the tone for our impending demise. With the main structure of the building and the souvenir counter being the only remnants of the old theater, the Manor Minions have done a great job at creating a one-of-a-kind atmosphere from the most unlikely of places! As mentioned before, Stillwell takes place in a large, abandoned movie theater that now houses a lot of different effects… including pieces that have been purchased or “haunt-ufactured” in-house, so you’ll likely see several unique items here that you won’t see elsewhere. We’ve come to find out that the eeriest of sound effects can be heard here and they’re sure to send shivers down your spine if you pay attention to them. Several giant creatures caught us by surprise this season, but we don’t dare tell you WHAT they were; you will need to pay them a visit so you can run from them yourselves! The Stillwell Manor attraction starts out with a talking head statue, shortly followed by a brief, “outdoor” section with vines rubbing you in the face as you make your way to the Manor’s entrance. Creaky wooden floors, a library, a collection of cats, a realistic mausoleum, armoured statues, hanging bodies and many doors that you actually have to open to pass through added some nice, authentic touches to their respective areas; be sure to knock before you walk in! Lasers, an eight-legged ensemble, a freezer, a kitchen, a boiler room, a “daddy rat” surprise and a ghostly apparition (look up, every once in a while to find it) were some of the more elaborate effects that we noticed. Isabelle’s Beyond showcases the awkward and, when we say awkward, we mean it! From a fortune-telling ball, an Annabelle doll, a plethora of unexplainable life forms and more, quite the variety of unusual items can be seen within this freakshow! Many of the walls are red and white striped to give the feel of being in a “big top” tent and a few paranormal-esque effects are sure to give some scares as well. Most of the actual “freaks” consisted of static props, unfortunately, but the unique fog surprise rounded off the end of the show nicely. In Tantibus, your exploration (if you make it this far) will lead you to encounter a tight passageway, a padded room, a lively drive-in screen, a slippery something that makes you move pretty fast (pledge works wonders… that’s all we’re saying), spirited shadows, a padded room, a massive vulture and a rather nasty bathroom (to say the least). 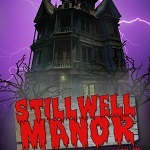 The haunts at Stillwell Manor each follow their own, separate theme and/or storyline. Isabell’s Beyond was the only haunt at Stillwell that actually explained the specific story to us, but each of the attractions follow their themes quite well through semi-scripted acting and specially-designed sets and props. Also keep in mind that Stillwell often opens for special events throughout the year, such as during the holidays of Christmas and Valentine’s Day; they usually add different touches to a lot of the scenes and change some of the characters around to create different shows for those events, too! 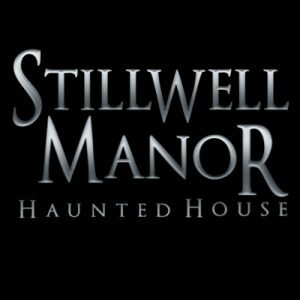 Stillwell Manor is based on the story of General Stillwell, a retired soldier who joined his wife in torment when the souls of those he’d killed decided it’d be a good idea to haunt him and his family… along with anyone else who worked in his estate. The horrors and deaths that surrounded them eventually led to his wife’s suicide and, later, the end of the General’s life as well. You can now behold all of the sinister spirits for yourself as you make your way through the various rooms and the surrounding property (sounds like fun, right?)! While the theme wasn’t explicitly explained to us during our visit, it’s one that we’ve learned through talking with management over the years and a partial story can be found on Stillwell’s website. At its core, this attraction is your classic, mansion-themed haunt. What sets this one apart from the pack is that, in all reality, you really don’t see much of these types of themes anymore and Stillwell does a great job of detailing their various areas to truly look period-correct and dated. Well done! Isabell’s Beyond is, appropriately, based around the character “Isabell;” a gypsy fortune teller who’s actually the granddaughter of General Stillwell. Once “a swan to the rich,” she cast herself away from them and has since dedicated her compassion to the “living, breathing monstrosities” contained here in the “World of the Bizarre.” But, beware… you don’t want to offend any of these freaks, as they abide by their own laws and codes; we’d hate to see how they remedy such disrespect! With such a great intro to the haunt, we were a bit disappointed to find that only a couple of the “freaks” were actually living and breathing, but Isabell’s show did turn out to be fairly eventful and made for a nicely-thought-out finale. Tantibus follows a general “nightmares” theme, rather than a specific story or plot. With that, they can pretty much throw anything at you, so be prepared! We saw everything from zombies and clowns to doctors and chainsaw attackers with some unique creatures and characters of Stillwell’s own device! 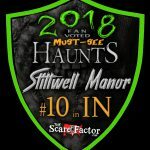 The haunts at Stillwell Manor are “no-touch” and mostly actor-driven, meaning you’ll get more scares from the actors here, rather than any electrical, mechanical or air-operated props. Good hiding spots are the tactic of choice here and, with all of the decorations and set design, there’s LOTS of places for the actors to conceal their locations! However, that’s not to say that these are your typical “pop scares,” either. Most of the cast were their own, distinct “pieces to the puzzle” and able to work with various props and scenery to provide distractions for… you guessed it… more scares! Now, this isn’t an “extreme” haunt by any stretch of the imagination… but, an individual who was visiting Stillwell by himself joined us during our tour and, although he claimed he was “exaggerating,” he sure looked like he was pretty freaked out for most of the way through (yeah, you’re busted buddy). The finale of Tantibus served as our last scare for the evening and the attacker’s high-speed chase down the final hallway definitely had us high-stepping out of the exit. A follow-up discussion with management informed us that there *may* even be a few added scares after you exit the building before haunt season ends… so be sure to pay them a visit before it’s too late! Still not convinced you need to visit Stillwell this year? How ‘bout this little ditty: Our total tour time through all three haunts ended up being 53 minutes (including the introductions). At almost an hour of entertainment, the $20 price tag for general admission puts Stillwell at providing a whopping 2.65 minutes of entertainment per dollar spent (well above our 2015 average of 1.5 from all of the haunts we visited)! Breaking it down by haunt, Stillwell Manor was 27 minutes long, Isabell’s Beyond was 14 minutes and Tantibus took us 12 minutes to traverse. As Halloween approaches and the lines get longer, you may think about purchasing VIP tickets, which will allow you to skip the line, for $35. Have a large group coming with you? Discounted “group tickets” are knocked down to $16 each for groups of 10 or more and prices are actually negotiable once you get over 20-strong. 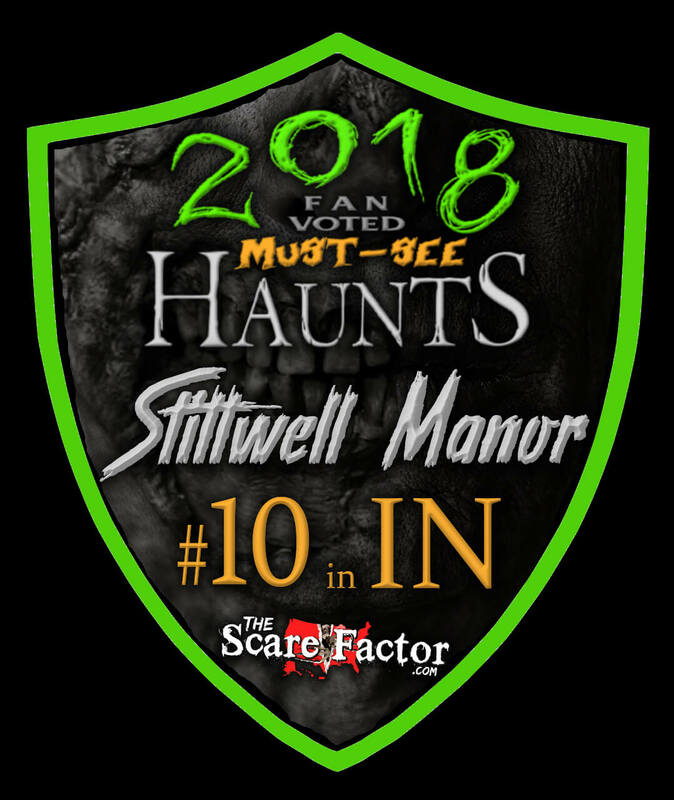 In summary, Stillwell Manor has made some great improvements on many aspects of their attraction and we highly recommend paying them a visit this year… Tell ‘em Team Zombillies sent ya! !